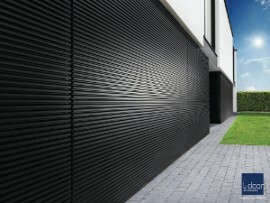 L-Door Puma Line STX is a sectional garage door that integrates with cladding from major facade systems manufacturers. 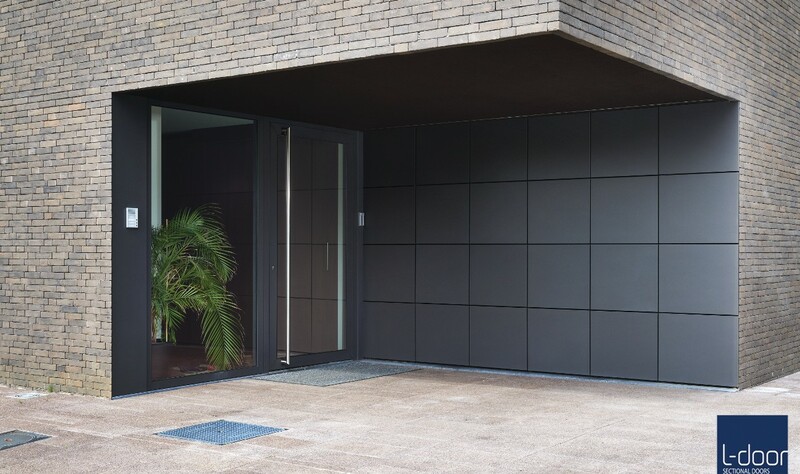 If you are looking for a door to blend seamlessly with your contemporary facade system the L-Door Puma Line STX is the door for the job. 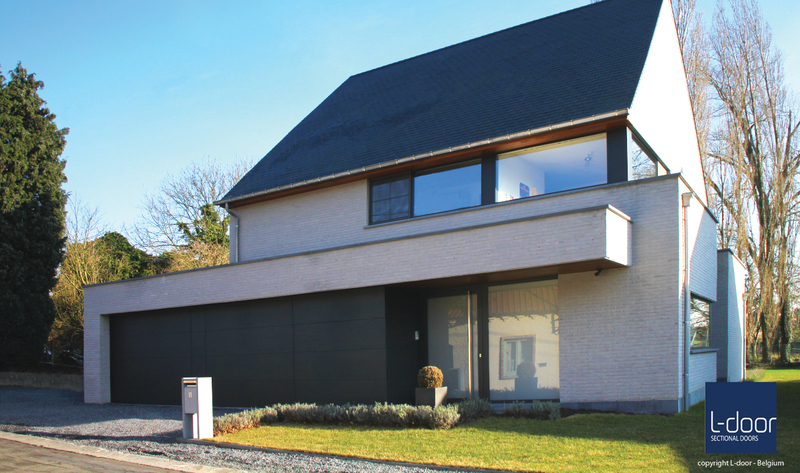 Furthermore, we will work with you to design, supply and install the whole facade and sectional door in one complete package. The finish options available for the STX are vast and we only work with the very best in the industry. 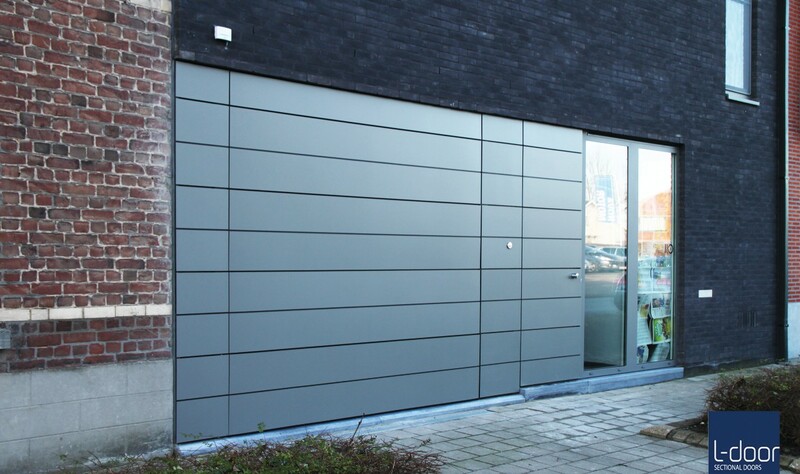 We can offer cladding for the STX from manufacturers such as Rockpanel, VM Zinc, Eternit and Trespa. This though, is by no means exhaustive. Let us know if you have something specific in mind. L-Door are always open to new ideas. The STX is an aluminium insulated sectional door with the cladding fixed to it. This method of construction gives the look you will want without having to compromise on the practicalities such as security & insulation. We clad around the door itself and also fix to the sectional panes which, in turn, we fix on the walls. 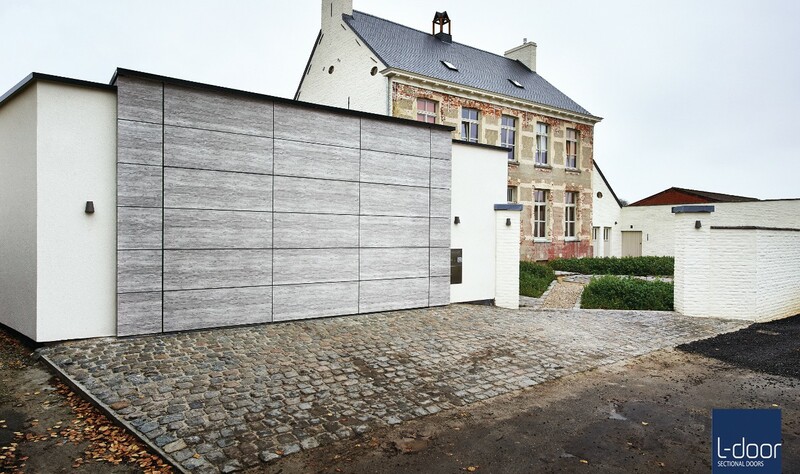 This gives the effect of the door and the static cladding being as one and completely indistinguishable from each other. Your new Puma Line STX will need to be automated. L-Door also have a range of operators perfectly matched to their doors. The Sleek looking 3 series operators from L-Door give the door a smooth and quiet operation. These feature packed operators are manufactured in Germany, they are powerful, reliable and also extremely safe. We love the L-Door product here at Lakes and the STX is one of the most impressive looking doors on the market. Speak to one of our team today, we can’t wait to work with you on your special project.